Flightradar24 is a flight tracking service that provides the web with real-time location information on thousands of commercial and recreational aircraft. Flight Radar receives its data primarily by ADSB and FAA radar , but their database is supplemented by data supplied by an army of volunteers that upload ADSB data (from their own receivers) to Flight Radar’s servers. We created a plugin only to simplify the (already simply) process of embedding a plot. The iframe URL that embeds the plot requires knowledge of a location’s latitude and longitude – something that’d scare many people away. Add to that the complexity of altering other options and we quickly justified a little work. Of course, we have bigger plans that’ll see us integrate other types of information from other data providers, so this is really just a start. Note that either the IATA code of SYD or the ICAO code of YSSY can be used. When the shortcode is processed, a request is made to our Airports API. The latitude and longitude for the requested location is stored locally so no further requests are made to our API for that specific location. The Airports API will return various details relating to an airport – including the latitude and longitude required for the FlightRadar24 embed URL. Note: Usage of the API from outside of the Flight Radar plugin is not permitted (without asking, of course). We’ve had a few people build apps around our APIs without permission. It’s always best to make a request using an ICAO code rather than the limiting IATA data. IATA data is more relevant to ports that accommodate RPT and therefore agent ticketing services… meaning that they represent only a small percentage of available ports. If you know the latitude and longitude for an airport, no request is made to the API. Remember, a request to the API is made only the first time you query a particular airport; data is then stored locally for future retrieval. The older XML API will shortly be retired. Note that we’ve listed our server IP address as a key restriction. If you’re not one for plugins, but you still keep a custom functions file, you can copy and paste the following code and use it in a manner similar to that as described above, with the exception that it won’t query the API (so you won’t be able to use airport codes). It’s designed for brevity. Shortcodes should always be used for repetitive tasks. If there’s a change to FlightRadar24 options in the future of if they offer additional display options, the changes can be made globally. If we chose to change radar provider in the future, include additional data, or cater to any changes a provider might make – all of which is likely – no alteration would be made on any page where we’ve already embedded data. Used outside of WordPress, the following may be used. To have a plot fill your entire screen, set width and height to 100%. A couple of individuals have copied virtually all our code and created plugin without any attribution. The API, in particular, cannot be used (outside of the plugin) without permission. Description: Display Flight Radar Plots on Your Website With WordPress Shortcode or PHP. 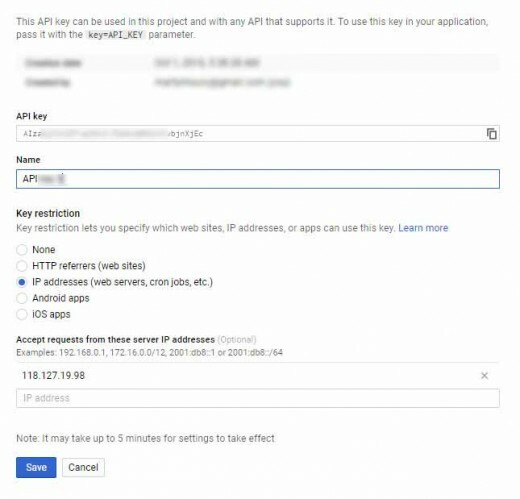 More on the google api stuff. HTTP referrer won’t work? Is it okay to use the shared ip if using a domain host? Yes, a shared IP should be fine… just keep an eye on usage. That said, the HTTP referrer should work and is a far better option. Register all the pages (full URL) where you’ll embed the iframe. Though the radar is able to display flights in the region specified. You’ll have to register an API key and then have your server IP address white-listed. is it possible to get something like flight information (departure/arrival) kind of information for specific airport wordpress?